Paul Hutchens is Director of Midlands-based solar specialists, Eco2Solar. He is a board member of the Solar Trade Association (STA), the UK's leading solar industry voice, and Chairman of the STA's New Build Working Group which aims to inform governments, councils, house builders and consumers about sustainability in housing. Here, Paul discusses how the hot summer has impacted the solar industry, how Scotland is outstripping the rest of UK in green energy generation, how national legislation is failing to meet public demand for environmental policy and what this means for house builders and house owners. Something quite extraordinary happened on the afternoon of 30 June this year. For one hour, solar energy, all but briefly, overtook gas as the UK's top power source. And that's not the only record that has been broken this summer - between 21 and 28 June, solar broke the record for weekly output, producing 533 gigawatt hours of power. During that same week, solar generated more than 75GWh on five days, another new record. And in a first, solar output hit more than 8GW for eight consecutive days. For a technology considered "˜alternative' just ten years ago, this is significant. But what do heatwaves like this mean for the solar industry? The Met Office reports that 2018 was the joint hottest summer on record for the UK as a whole, and the hottest ever for England. The high temperatures in 2018 were tied with those of 1976, 2003 and 2006 for being the highest since records began in 1910. This rise in temperature is bringing attention to solar technology for two reasons. Firstly, the real effects of global warming are forcing discussions on the necessity for green, renewable energy solutions like solar. Carbon dioxide and methane emissions from fossil fuels contribute to global warming and decreased air quality, whereas solar energy solutions produce no such pollution. While some argue that emissions are created during the production of solar panels - these are much lower compared to lifecycle emissions for coal and natural gas. Plus, coal and natural gas continue to release carbon dioxide while they produce electricity. Solar panels, on the other hand, produce completely green energy with zero emissions once installed. As the Solar Trade Association states "˜Government has set out plans for the decarbonisation of UK electricity to below 100 gCO2 per kWh by 2030. More renewables on the grid and a reduction in the use of coal for electricity generation mean that the UK has already made great strides in this direction'. These real environmental changes are shifting attitudes and increasing the attractiveness of properties boasting green energy solutions. Secondly, the recent increase in sunshine has led house owners to consider the opportunity to benefit financially from solar installations on their home. Since 2004, energy prices have doubled, whereas the cost of solar panels have reduced by some 80%. Solar panels generate electricity from daylight, and this electricity is used in the home rather than buying power from a supplier, saving house owners around 16p/kWh. Also, any clean electricity not consumed in the home can be stored, or sold back to the national grid. This certainly makes the prospect of a solar enabled new build houses more attractive. Indeed, a recent poll by YouGov found that more than half of the British public would install solar panels and home batteries to tackle climate change if there was greater assistance from the government. Housebuilders' choice to install solar on new builds is often driven by local government legislation. However, changes in public attitudes towards the technology are influencing demand from house buyers. One Home is a project to increase public awareness of climate change and accelerate the transition to net zero carbon emissions. Recently released research from One Home showed that solar power is the most popular form of energy generation with support at 87% amongst the general public. In addition, the trend in smart homes is also leading to renewed interest in solar. One survey concluded that 44% of the public want solar panels with storage on their homes by 2020. The report notes "˜Blazing hot summers are increasing the direct association in people's minds to the power of renewable energy to reduce increasing energy bills'. Social enterprises such as One Home helping to further raise the profile of solar solutions, and increase general understanding of the environmental and financial benefits of the technology. And, the solar scene has grown at a speed unexpected by the industry some years ago. For example, the Electric Insights reported in 2017 that the UK had 12.4 GW of solar PV capacity installed; more than many analysts once thought would be installed by 2050. This increase in demand is something that we have experienced first-hand, as we work with most of the UK's largest home builders on providing solar installation services. The standardisation of solar in different regions of the UK varies significantly. Local authorities are working to towards different regional targets, meaning very different outputs. Scotland however are at the forefront of the green energy evolution. The Scottish Government have a clear objective "“ to generate the equivalent of 100% of Scotland's electricity demand from renewable sources by 2020. They are set to exceed this target, having gone from delivering 10% to 60% of electricity consumption from renewable sources over the past 15 years. The Scottish government is also on track to ensure renewable sources provide the equivalent of 11% of nation's heat demand by 2020. Wind and solar energy are core to Scotland's overall energy strategy. Furthermore, it has been reported that North Scotland could be set for a boost in renewables as the region may become a major exporter of power to the rest of the UK. This "˜proactive decarbonisation' model has been set out by Scottish and Southern Electricity Networks in a report detailing different scenarios for the future of energy in the area. There are many reasons renewable solutions are growing at pace in Scotland. Clearly government policy is fundamental, but the geography of the nation and expanse of space in rural Scotland allows for large scale solar developments. Recently, plans have been approved for a giant solar farm in Moray, that will be the largest in Scotland. The 50-megawatt scheme will include 200,000 solar panels and will supply enough clean energy to power up to 15,000 homes or 19,000 electric vehicles each year. This massive development will occupy 115 hectares, and is just one of many similar size developments throughout the nation. 54,000 homes and 2000 businesses in Scotland currently benefit from solar PV technology. It is a standard asset on nearly all new builds, and over the past two years, Eco2Solar has experienced a significant growth in demand from house builders. We now have a team of fifteen in our East Kilbride offices, working with all the main building contractors throughout the country, and have ongoing contracts with Barratt Homes and Taylor Wimpey. On a national level, Scotland is at the forefront of renewable energy evolution and we are very proud that Eco2Solar can support this. 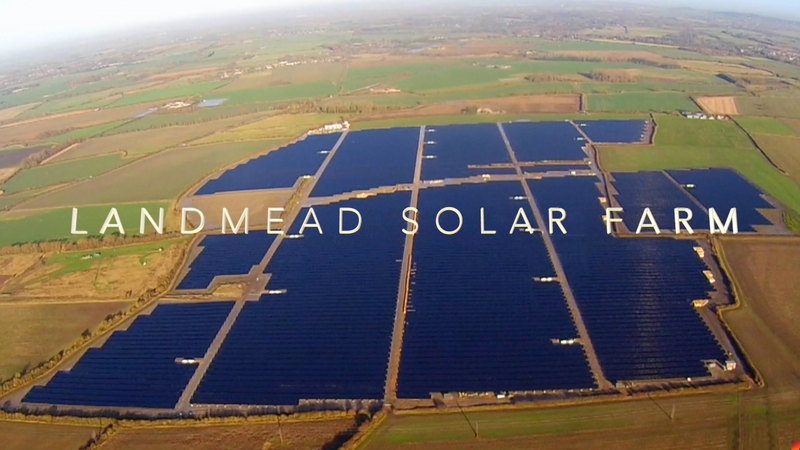 Solar is an essential pillar in the future of decarbonising British electricity, and there are some symbolic movements happening throughout the UK supporting green energy. However, on a national political level, the UK government is arguably "˜kicking the ball into the long grass' when it comes to environmental policy. Much political attention is diverted towards Brexit, and there are real concerns that, once the UK leaves the EU, the powers held by the European commission to ensure the UK meets EU targets on factors such as air pollution and water quality will expire. Currently there is nothing within the UK government to replace these. The hot summer of 2018 has brought renewed attention to solar, and we would like to see this reflected in national policy. The environmental audit committee has recommended that a new environmental watchdog with powers to hold the government to account must be set up after Brexit to ensure these protections are kept in place. It also called for targets on air, water, soil, biodiversity and other issues to be legally binding and subject to five-yearly reports, in a similar way to the carbon budgets produced by the Committee on Climate Change under the 2008 Climate Change Act. Without this, the impetus for real change and innovation lies with local government alone. Only with a coherent national policy, can the UK hope to meet targets for decarbonising electricity and secure a sustainable future for our energy requirements. Without this, there is a real risk that advances towards green energy solutions will be put at risk.